Iranians rank among the best customers of the cosmetic industry – despite the strict dress code, the obligation to wear a hijab and the lack of women’s rights. There are many stereotypes about the lives of Iranian women, complains Iranian photographer Samaneh Khosravi. One of them is the woman in a black chador. In her Among Women and Teenagers photo series, Khosravi shows how multifarious life in Iran is and how women have adapted their sense of fashion to the rules of the Islamic Republic. When did you start thinking about making a photo book about women? When I came to Germany in 2008, in conversations about Iran with (non-Iranian) friends and colleagues, I was met with skepticism and wonder, particularly in relation to fashion and ideals of beauty. The picture of Iranian women in a black chador, which is conveyed by the media, has become firmly anchored in the minds of many people. Therefore during my studies of photography in 2013, I developed the idea of showing heterogeneous and more realistic pictures of Iranian women. In cooperation with Kerber Verlag, the book Among Women was published in 2015. What kind of beauty ideals are there in Iran? 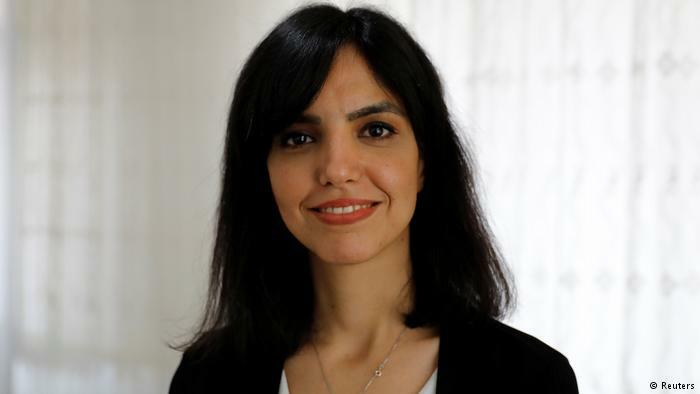 The influence of the new media can be felt in Iran, too, for many years. Particularly cosmetic nose surgery, a trend which is very common among Iranian women, has to be mentioned if we talk about beauty ideals in Iran. Most women want to remove their “nose hump”. Lifting, tattooed eyebrows, bleached hair, also professional tooth bleaching most recently are very common trends. These beauty ideals are certainly not typical only for Iranian women, but they are very popular in Iran. Which role models do Iranian women have? The most common beauty ideal in Iran today is shaped by Western as well as oriental ideals. Mostly, celebrities serve as models. For many years, the dominant beauty ideal has been blond hair, a slim figure and makeup. To discover whether the western or oriental style has more influence, it makes sense to look at the makeup women wear at a wedding. Flashy makeup is termed Khaliji, the Persian word for the Golf region. More discreet makeup is often described as Western. This is currently most popular. Thanks to the internet, Iran is a member of the international community. Some of the new social media platforms are blocked but Instagram and Telegram are accessible to Iranians. Satellite television, through which people are able to watch Western TV channels, contributes to a society that is more open to Western styles and trends as well. TV programs produced by Iranians living in Western societies are very popular. But there are other influences. And the West is also influenced by the Orient. Kajal for instance originated in the East. I believe that we influence each other. Anyone who knows the Persian poet Ferdowsi knows how colorful and varied the Orient is.. Today, Iranian designers work with motifs from the past and create modern Islamic fashion that is compatible with the government’s dress code. Iran is the country in which the most cosmetics are purchased. How can this be explained? A very common stereotype about Iranians is that women wear the standard black chador. But underneath the chador or at home, many Iranian women love to make themselves look beautiful, not only for men, but also for women. They value being beautiful. Many Iranian women who have money have an operation. Most of the women I interviewed said that because of the headscarf and the modest dress code in public, with only the face being seen, they wanted to do everything to be beautiful. This could be the reason why Iran is one of the biggest costumers of the cosmetic industry worldwide. Many teenagers rebel by wearing conspicuous clothing. How does this manifest itself in Iran? It is similar. In my new project, I portray teenagers in Iran and explore their desires, pleasures and fears. Here are some photos from the project Teenagers. What is the importance of beauty salons for Iranian women? I would say that regardless of financial situation nearly all women visit a beauty salon at least once a month. 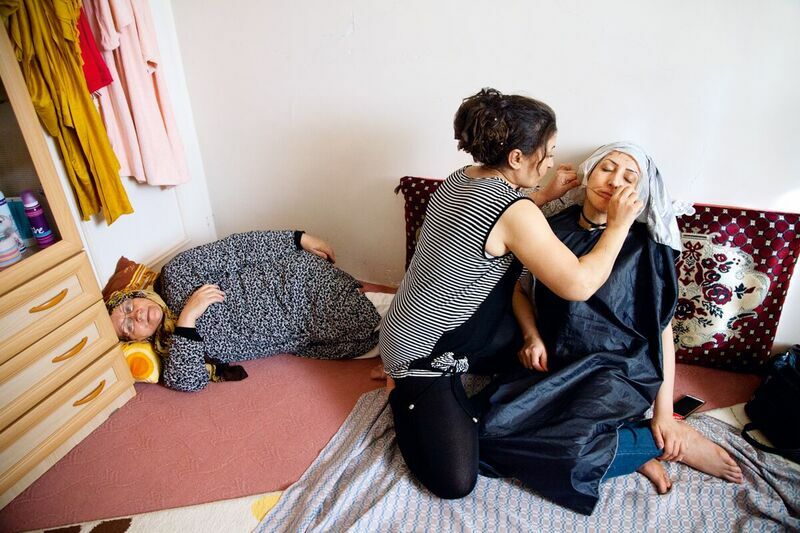 The beauty salon is a place where women meet and speak about anything and everything – without a chador or hijab and undisturbed by the world of men. Those who work at the beauty salons are often friends with their customers and know their secrets. Is it true that women, particularly in larger cities, play with the obligation to wear a headscarf? Yes, in larger cities women interpret the dress code and the hijab more freely. Their style is more colorful and adventurous than that of women in smaller cities and villages. The scarf is often just laid loosely around the head. 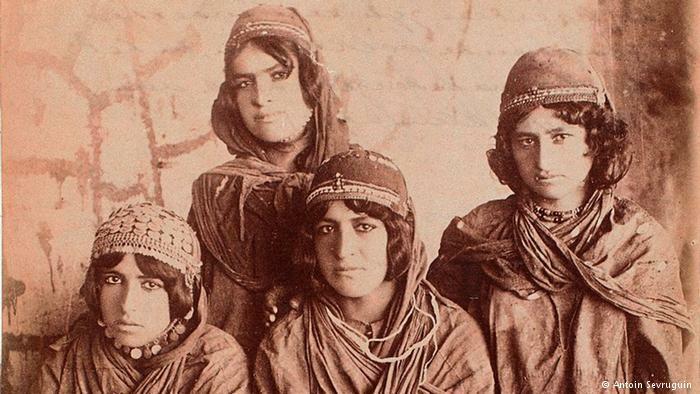 How do Iranian women show off new fashions? Islamic fashion is worn everywhere in public. Fashion that does not meet Iran’s Islamic rules cannot be worn in public, but is worn at private events. What are the trends in Iran today? 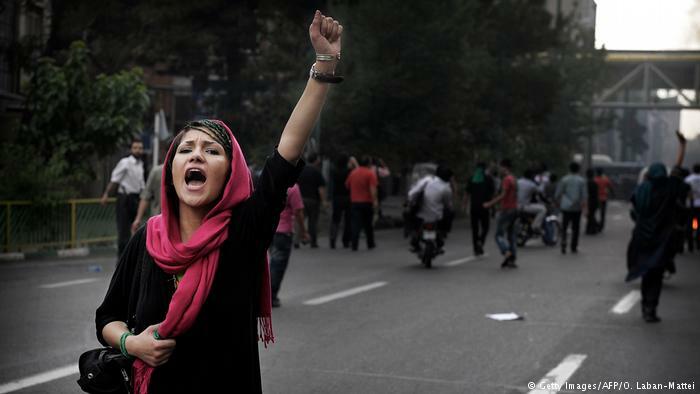 Since the publication of my book, I have seen ripped jeans and eye-catching hair colors such as pink, in Tehran.